Daniel Radcliffe and director David Yates will participate in a live screening of Harry Potter and the Half-Blood Prince on December 12. Fans who purchase the Blu-ray edition of Half-Blood Prince will be able to participate in the “Live Community Screening” at 12:00 PM PST (3:00 PM EST) on December 12. Fans will be able to, “watch the movie together with Daniel Radcliffe and director David Yates and hear an interactive Q&A where fans can ask questions about the blockbuster film directly to Daniel and David, directly from their home”. 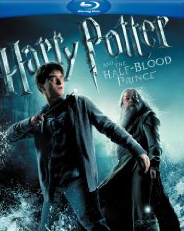 Harry Potter and the Half-Blood Prince will be released on DVD and Blu-ray on December 8.